Plus with the 3 Park Explorer Ticket you can enjoy Universal's Volcano Bay™ water theme park! 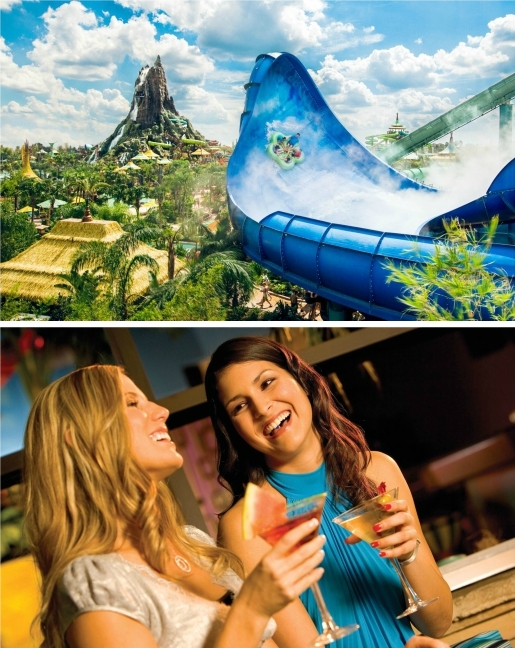 Universal Orlando Resort™ is made up of 4 theme parks, 1 water park and an entertainment destination, all within walking distance of one another! 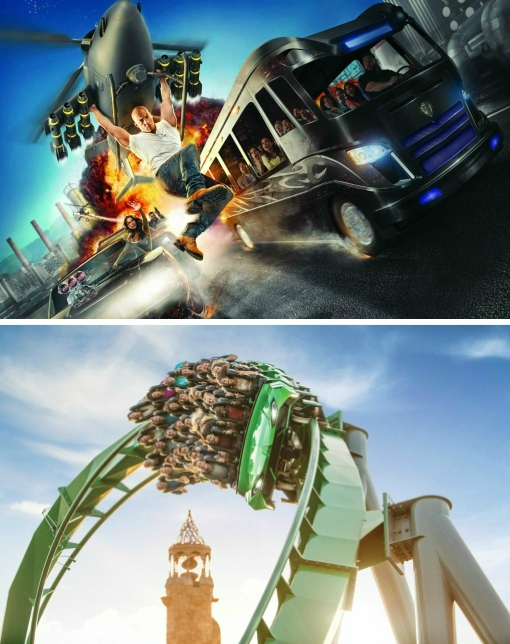 Universal Studios Florida™ is a real, working production studio with all kinds of amazing rides, shows, movie sets and attractions where YOU get to be the star! Immerse yourself in the next generation of blockbuster entertainment at Universal Studios™. You’ll enter The Wizarding World of Harry Potter™ - Diagon Alley™, encounter mischievous Minions, crash through Krustyland with The Simpsons™ and join forces with the TRANSFORMERS as you find yourself right in the middle of the action. Get ready to have fun with your favourite childhood heroes, comic book stars and cartoon characters at Universal’s Islands of Adventure™, one of the awesome theme parks at Universal Orlando Resort. Have you always wondered what it would be like to swing through the city with Spider-Man? Or how you would survive on Skull Island: Reign of KongSM? And make sure you watch out for those hungry dinosaurs when you visit Jurassic Park®! Universal’s Islands of Adventure™ is also home to The Wizarding World of Harry Potter™ - Hogsmeade™, where you can experience just what it’s like to be a wizard at Hogwarts™ School of Witchcraft and Wizardry! Whether you’re a Harry Potter™ super-fan or you’ve barely heard of the boy wizard, you can’t fail to be astounded when you set foot in The Wizarding World of Harry Potter™ – Diagon Alley™. Located at Universal Studios Florida™, this is just about as close to actually living in the enchanting world of wizards and witches as you can get! 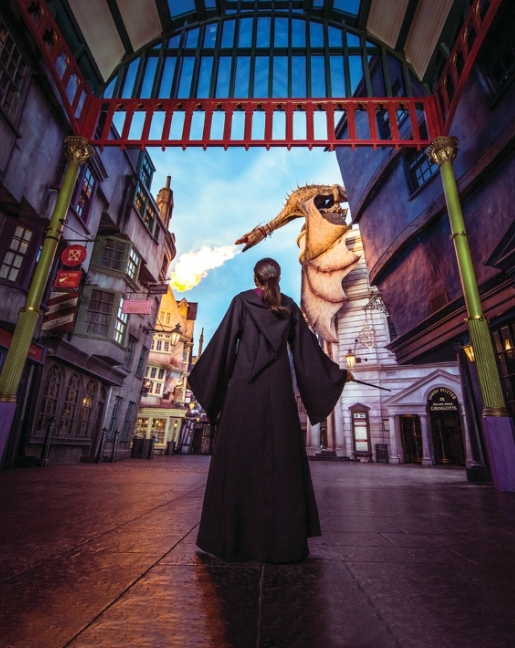 Expect magical spells, dark villains and daring heroes at The Wizarding World of Harry Potter™ - Hogsmeade™, located at Universal’s Islands of Adventure®. Venture inside Hogwarts™ castle, feast at the Three Broomsticks™ and come face-to-face with magical creatures as you soar over the castle on the thrilling ride Harry Potter and the Forbidden Journey™. Plus, with an Explorer Ticket you can travel between both lands of The Wizarding World of Harry Potter™ by riding the Hogwarts™ Express# between Hogsmeade™ Station at Universal's Islands of Adventure™ and London at Universal Studios Florida™! Universal's Volcano Bay™ is a water park where there's no waiting in long lines, no carrying rafts around the park… nothing between you and a full day of fun! Using state-of-the-art new technology called TapuTapu™ wearables, you can hold your place in Virtual Line™ with just a wave of your wrist. So there’s less time waiting in line and more time to speed down slides, brave whitewater torrents, drift down a winding river, or relax in your own waterside cabana. This is where your evenings really come together. Live music over dinner and drinks. Grab a seat. It's all about to begin…. CityWalk™’s quick and full-service restaurants offer everything from snacks like churros, ice cream and soda to elegant gourmet cuisine from a celebrity chef kitchen. Looking for Universal Orlando Tickets? © 2018 MARVEL. Dr. Seuss properties TM & © 2018 Dr. Seuss Enterprises, L.P. All rights reserved. Jurassic Park River Adventure ™ Universal Studios/Amblin. Popeye © 2018 King Features Syndicate, Inc. TM Hearst Holdings, Inc. Rocky and Bullwinkle and Friends TM & © Ward Productions, Inc. The Simpsons TM & © 2018 Fox. TRANSFORMERS and its logo and all related characters are trademarks of Hasbro and are used with permission. © 2018 Hasbro. All Rights Reserved. © 2018 DreamWorks LLC and Paramount Pictures Corporation. All Rights Reserved. Universal elements and all related indicia TM & © 2018 Universal Studios. All rights reserved.